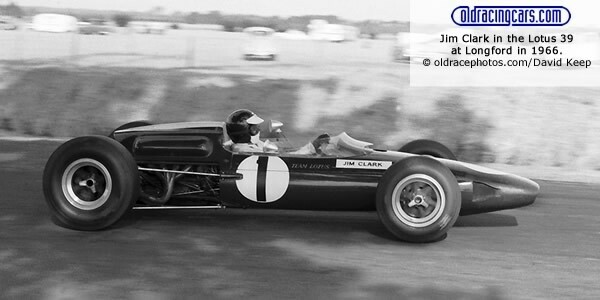 Champion Jim Clark and Team Lotus were back for 1966 with the unique Lotus 39, a car originally designed for the stillborn Coventry Climax FWMW 1.5 litre flat-16 engine but now fitted with a standard 2.5-litre FPF, and Jack Brabham had announced a 2.5-litre version of his new Repco F1 engine, but both were beaten by another new works entry, the BRM team. BRM prepared 1930cc P60 versions of the Formula 1 P56 V8 engine and these were fitted into their current P261 F1 cars. With Jackie Stewart and experienced Tasman winner Graham Hill driving, the team won seven of the eight races: four for Stewart, two for Hill and one for Richard Attwood, who stood in for Hill at two races. Clark had a dreadful time in New Zealand, either retiring or spinning out, but won at Warwick Farm after a rare trouble-free weekend. Jack Brabham's converted F1 BT19 only appeared at two races but the car was showed promise, beating the BRMs to take pole position on its debut at Sandown Park, before retiring early. The heat at Longford was too much for the Repco but Jack had the consolation of third place behind the BRMs but ahead of Clark. Jim Palmer finished ahead of the rest of the locals with a succession of thirds and fourth places in the ex-Clark Lotus 32B. Also impressing were Frank Gardner in Alec Mildren's Brabham BT11A, Spencer Martin in the Scuderia Veloce BT11A and Dennis Marwood who had acquired an ex-F1 Cooper T66 with backing from Rothmans. 13 Feb 1966 > Warwick Farm "100"